A Vice Principal from Barnsley College celebrated National Apprenticeship Week 2016 by going back to the floor at FareShare Yorkshire. Phil Briscoe, Vice Principal of Quality at the college, swapped his suit for a hi-viz jacket and went to help out on the warehouse floor at the food distribution charity based in Wombwell and saw how the staff, apprentices and volunteers are making a difference for local communities. FareShare Yorkshire is a charity that saves food destined for waste and sends it to over 227 charities and community groups across the region who then turn it into meals for vulnerable people. First opened in 1998, FareShare now employs eleven full time staff, including three apprentices, and has twenty-five volunteers who help out throughout the week. Phil rolled up his sleeves and spent the morning helping staff load the vans ready for ‘drop offs’ across the region. He then joined Level 2 Warehousing and Storage Apprentice, Keeley Neal, and driver, Dave Greenwood, on the first van run of the day to a community centre in Rotherham. 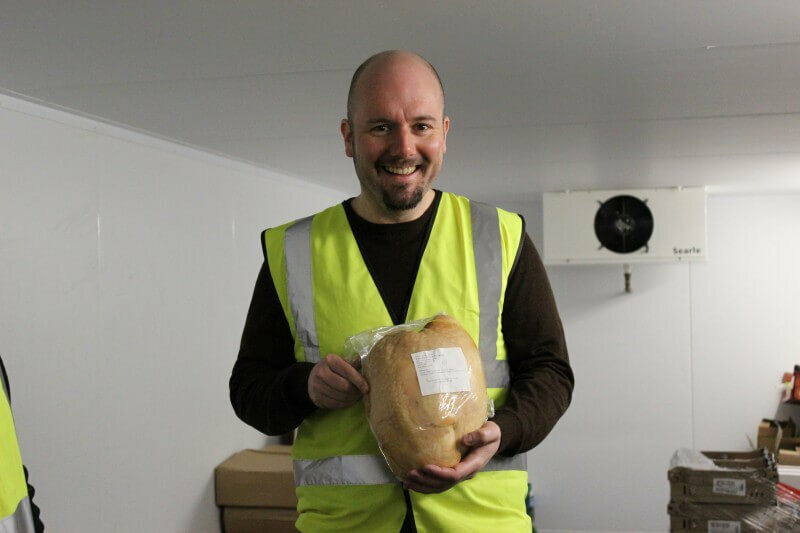 Phil said: “Seeing what FareShare do for the community was a really inspiring experience. I feel proud that the college works with companies like FareShare to help the local area grow. I was really taken aback by the apprentices we have training at the company, their positivity and dedication to their roles is impressive. They are really inspiring young people. FareShare is currently training three apprentices from the college in Warehousing and Storage, and Supply Chain Management. They also provide work experience for a number of work preparation courses ran by the college. For more information about the range of apprenticeships available at Barnsley College, contact the Work Based Learning Team on +44 (0)1226 216 166 or email employer@barnsley.ac.uk.